The Santa Clarita Shakespeare Festival continues its series of free performances of the Bard’s “Macbeth” on Saturdays and Sundays through July 29, starting at 7:30 p.m. The first tragedy staged by the festival, and the first in the festival’s new official location at Towsley Canyon Park, “Macbeth” opened July 14 and is presented as though the story had taken place in a post-apocalyptic, pre-industrial world. Lachlan McKinney, a theater student at Carnegie Mellon University, stars in the title role of Macbeth. Scott Hamby, co-starring as Macduff, is a sophomore at Cal Arts. 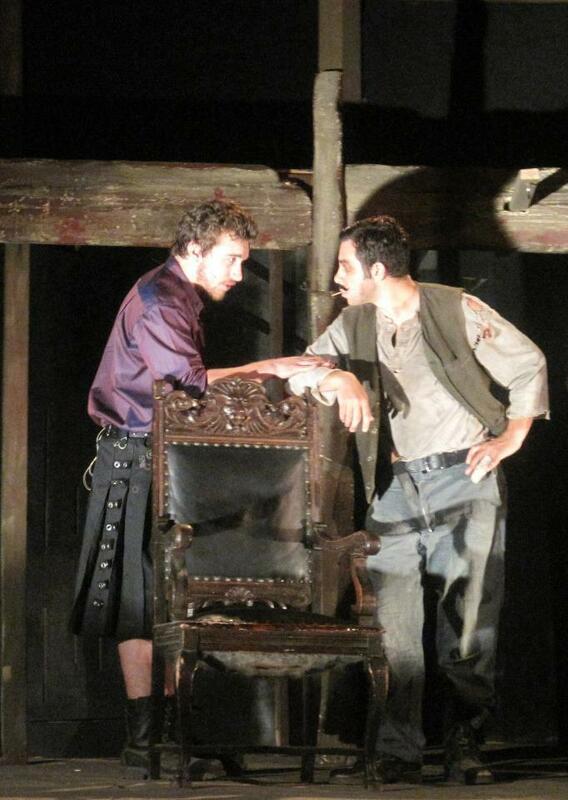 Lachlan McKinney and Scott Hamby play Macbeth and a murderer. Photo: Dominick Aznavour. 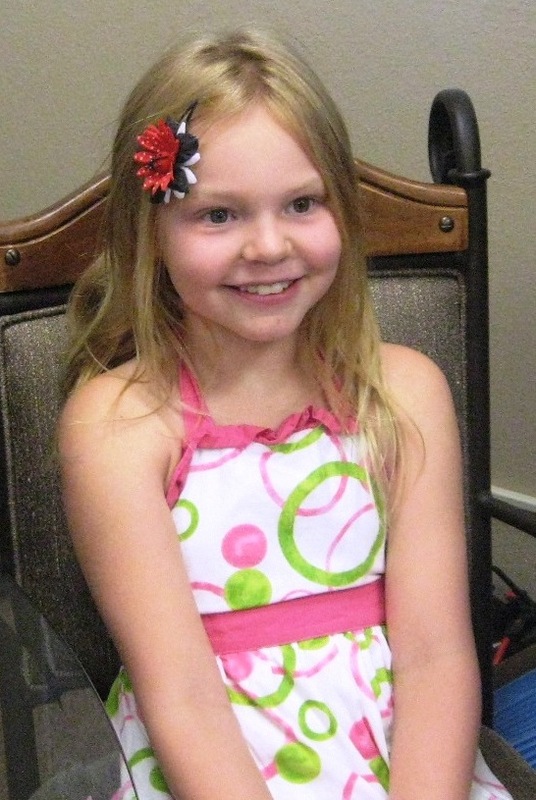 Madison Stears visited the KHTS-am 1220 studios to talk about Shakespeare in the Park and her lemonade stand. Photo: Carol Rock. The stand is named after another young girl named Alex, who died of cancer when she was 8, but also ran a lemonade stand raising funds for cancer research as she battled the disease. Madison said a lot of people visited her stand last weekend. “I don’t know exactly how many, but I know that we raised $103 in two days,” she said. As most Shakespearean actors know, the name “Macbeth” is never heard inside the theater as the play is performed. The Shakespeare Festival is a casual affair, and Stears encourages families to take a blanket and picnic dinner. Wine is available for purchase for those 21 or older. Prior to each performance of “Macbeth,” actors from the festival’s intern program present pre-show entertainment — a play titled “Hamburger Hamlet” and written by a local playwright. For more information, visit the SCFS website or follow the festival on Facebook.